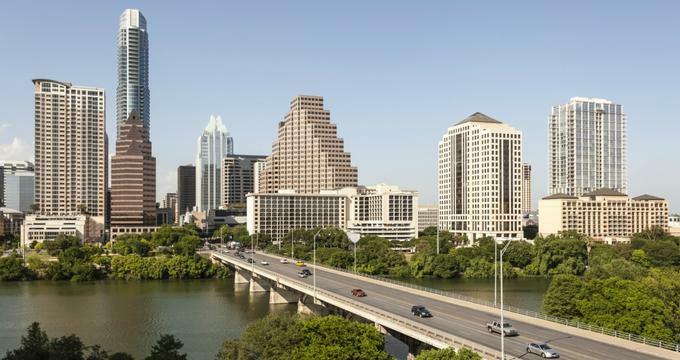 Austin has long been a barbecue centric city with a community of meat lovers, but there are great options to satisfy those who are looking to dig into plant-based goodness. It doesn’t matter if you’re a local or a tourist – the restaurants on this list are definitely worth a visit. Originally opened in 2009 as a successful food trailer, Counter Culture is the perfect spot to pick up some vegan comfort food. Run and owned by Sue Davis, the menu of Counter Culture is inspired by cuisine from all over the world with must-tries like the Caribbean inspired Jerk Seitan, the Greek inspired Lentil Loaf, and the Mexican inspired Raw Jalapeno Shiitake Burger. Each dish is made from scratch with meat-free, diary-free, and raw-food ingredients. The cherry on top of this delicious and nutritious cake? The food here is available at affordable prices and supports local farmers who practice organic farming and fair trade. If you have a mad craving for a solid bacon cheeseburger, there’s no better place to go than Arlo’s. 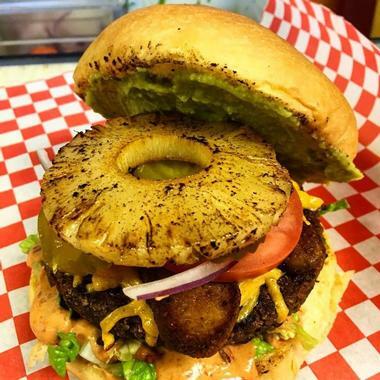 This food truck, which occupies space at Cheer Up Charlies, The Grackle, and Spider House Café, serves up a mean veggie patty that’s topped with house-made seitan bacon (you can’t tell the difference!). Stacked even higher with Daiya cheese, vegan mayo, and all the classic burger fixings, this vegan-friendly burger definitely has folks coming back for more. Other well-loved menu items at Arlo’s include their Street and Chick’n Tacos and the Chipotle Chik’n sandwich. Trust us, this food truck pumps out offerings so good even the most critical carnivore you know will give it two thumbs up. There’s no arguing that Austin has drawn foodies from near and far to their city for the barbecue, but the minds behind BBQ Revolution break the mold with their meat-free concoctions. 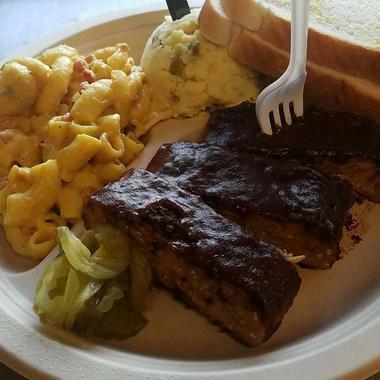 Proving that barbecue isn’t synonymous with meat, BBQ Revolution’s best sellers include their Big Daddy “Brisket” and the Smokey Soy “Ribs.” These smoky and flavorful bites are made out of protein packed ingredients like tempeh, soy curls, garbanzo, and wheat. Don’t forget to match their juicy barbecued goods with sides like Mom’s Potato Salad or their popular Featured Mac and Cheeze. Look for their trailer when you next roll by Webberville Road’s Blue Cat Café. Art and great vegan food collide at the Bouldin Creek Café, an all-veg diner in Austin that does brunch exceptionally well. The neighborhood café’s most popular menu item is The Renedict, a vegan rendition on the classic eggs benedict. 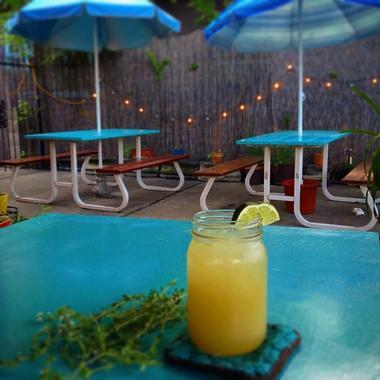 Bouldin Creek is also famed for having what could be the best veggie burger in Austin. 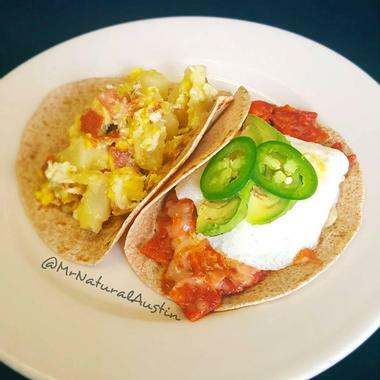 Aside from these two hot menu items, the café also impresses even the pickiest eaters with dishes like the zucchini migas and the Portobello fajitas. The vegan-friendly breakfast tacos are also a huge hit amongst diners thanks to the delicious and perfectly cooked tofu scramble it’s stuffed with. Founded by Eduardo Longoria, Casa de Luz is an oasis-like getaway eager to welcome all those who need a break from the hustle and bustle of city life. It’s also the perfect place to give your tummy a break from the not-so-healthy, not-very-heart-friendly dishes that Austin’s barbecue joints tend to serve up. 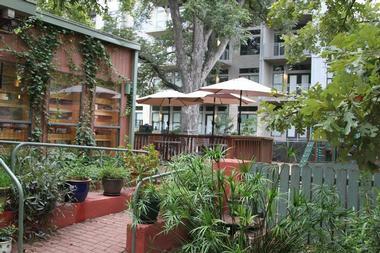 The lush tree-filled area provides the perfect relaxing setting to enjoy fixed meals for breakfast, lunch, and dinner. 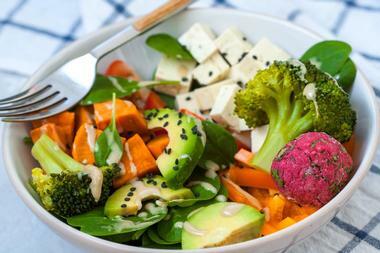 Following the theme of wellness, all meals are veggie-packed and macrobiotic in nature. Daily menus are decided ahead of time and include offerings like porridge made with whole unprocessed grains and veggie plates stacked with dark leafy greens, beans, and handmade tortillas. It’s all about modern plant-based cuisine at Conscious Cravings. Specializing in wraps, salads, smoothies, and a whole lot more, this restaurant is out to show foodies around the city that meatless cuisine is just as flavorful. In fact, it may even be more delicious. The chefs at Conscious Cravings utilize a proprietary blend of herbs and spices from all over the globe to make their dishes absolutely irresistible. 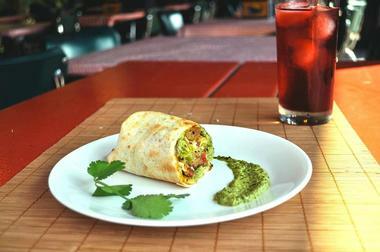 Feast on their succulent seitan chimichurri or dine on a plate of their pan-seared tofu that’s absolutely to-die-for. With a menu that is refreshing and 100% plant-based, you can bet your bottom dollar that you’ll walk away feeling both satisfied and healthy. Did we mention that they don’t fry a single thing? You likely won’t find a story with as much comedic background as the Koriente Restaurant and Tea House does. 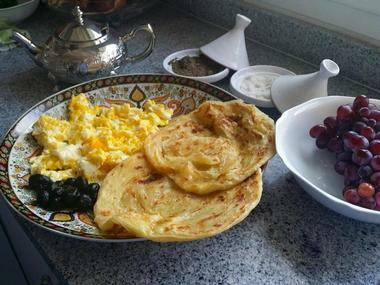 A woman who actually hated cooking started Korienta, which is family owned and operated. In her struggle to find a restaurant that served food she would feel good about feeding to her children, the owner of Koriente finally decided to swallow her dislike for cooking to start a restaurant for people like her. What resulted was a popular Korean-Asian inspired restaurant that serves MSG-free, low calorie, and well-balanced meals with no loss in flavor. The restaurant commits to minimize their use of oil, sugar, and salt in their cuisine and increase their use of plant-based, whole food ingredients. As one of Austin’s top Indian restaurants, Madras Pavilion proves without question that vegan food can be just as tasty if not more flavorful than meat-laden food. There’s no arguing that Madras is a purveyor of authentic Indian cuisine, as they serve up dishes that represent both North and South Indian fare. They even have regional specialties like Indo-Chinese dishes and Chaat. Did we mention that they even whip incredible dosas onsite? Despite the fact that many classic Indian dishes are incredibly taxing to make from scratch, Madras Pavilion commits to make every single dish fresh daily with only spectacular produce. What are you waiting for? Sink your teeth into vegetarian and vegan Indian asap. An iconic café in Austin’s bustling Hyde Park, Mother’s Café has been whipping up delicious plant-based cuisine since the 1980s. A staple for Austin’s locals, the café has a huge indoor seating space with some outdoor seating for those who want to enjoy the fresh air as well. The menu mainly consists of classic 80’s vegetarian dishes with the Bueno Burger being one of the more popular options. Newbies to the café can also try the Artichoke Enchiladas and Mom’s Reuben with Daiya. 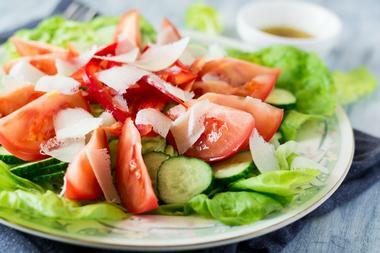 Diners who want to eat a lighter meal can go for a classic combo: soup and salad. Make sure to upgrade to the spinach salad though, and ask for crumbled tofu instead of the cheese. Oh, and before we forget, be sure to ask for their incredible cashew tamari dressing. Opened in 1988, Mr. Natural is a family owned restaurant with Jesus Mendoza Jr. at the helm of the kitchen. Having been taught the culinary arts by several famous chefs like Roland Winbeckler and Buddy Valastro, Chef Mendoza definitely has a lot to offer his customers in terms of flavors. The best part? His food is predominantly plant based! A vegan and gluten-free eater himself, Chef Mendoza dishes up all kinds of goodies, from baked goods to entrees that taste delicious but won’t make you feel guilty. Apart from their famous custom cakes, some of the dishes to try include the Potato Patties, the Picadilo se Soya, Tofu a la Mexicana, and Tamales. Eat up! Eager to bring the best of India to the foodies of Texas, Suprehbat stews, fries, and renders down dishes that are bound to leave your taste buds and spirits at an absolute high. All of the offerings on the Suprebhat menu burst with flavor and perfectly encapsulate India’s reputation as the cradle of spices. Aromatic and irresistible, all of the dishes are made with the goal of nurturing healthier eating habits like introducing a lot of grains and lentils into one’s diet. The dishes are also made fresh daily, cooked home-style, and spiced with masalas that are dried and ground in-house. If that isn’t enough of a testament to their commitment to wholesome food, we don’t know what is. 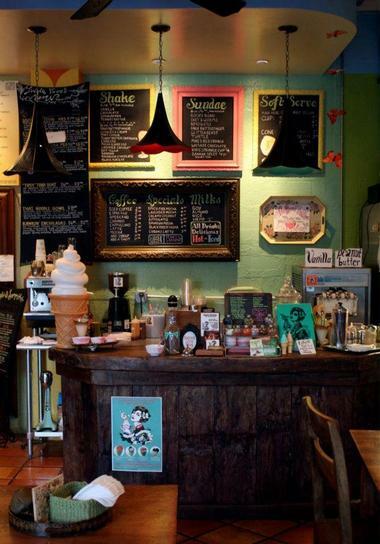 Travel back in time to the glory days of the old-school ice cream parlors at Sweet Ritual. With an exceptional and absolutely tasty vegan twist, this ice cream shop, which is hidden away inside the Daily Juice Café, scoops non-dairy goodness into every cone. Each batch of ice cream at this joint is made from scratch in the store with complete love and care. One of the best sellers, which every ice cream loving patron absolutely must try, is the Glitterbeast: a sundae that is piled high with strawberry sauce, caramel sauce, and sprinkles. Don’t forget to try their amazing Banana Split if you’re visiting with a friend or sip on a salted caramel, mint or coffee flavored milkshake. Sweet dreams are definitely made of Sweet Ritual’s desserts. You may think it’s impossible to find a plant-based bar and kitchen in Austin, Texas, but boy are you wrong. 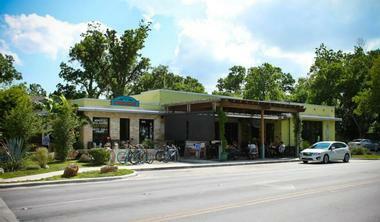 The Beer Plant is the first vegan gastropub in the foodie city of Austin and adheres to a simple motto: “Drink beer. Eat plants. Be happy.” Visitors can look forward to a completely plant-based menu with dishes that are not only healthy but also totally complimentary to the flavors of the 40 beers the plant has on tap. If you’re heading to The Beer Plant during Happy Hour, make sure to chow down on their Buffalo Cauliflower Wings. Meanwhile, lunch and dinner visitors have tons of options to choose from like the zesty Blistered Green Beans, the smoky Oven Roasted Jewel Yams, or the filling Ploughman’s Plate. While the owners of this restaurant may have a bit of a difficult time communicating in English, the good news is that delicious food is a language that every person on this world knows how to speak. The owners and chef of Flying Carpet do just that – communicate with their guests through impeccably cooked Moroccan cuisine. There’s no cutting corners or compromising on quality in this restaurant, as each dish is made with ancient Moroccan culinary techniques. Yup, there’s no par cooking, mass prep, or long wait times in the Flying Carpet’s kitchen. Feast on the aromatic and filling vegan cuisine and sip on traditional, time-honored mint tea within a casual setting at this Austin mainstay. Teatime is a round-the-clock affair at The Steeping Room. 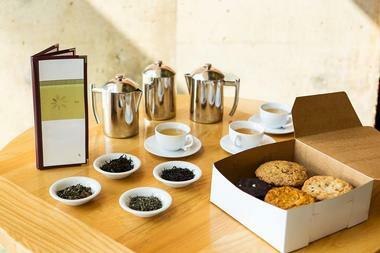 With two locations in Austin and a commitment to healthy veggie packed cuisine, The Steeping Room invites their guests to take a trip around the globe through their food, spectacular global tea selections, and the dozens of tea-inspired treats that line their menu. Whether you’re here for a sit-down meal or making a pit stop to grab a bite to go, there’s something for everyone to enjoy. Some tummy tea-sers to try include the Napa Rolls, the House Made Organic Oat Granola, and the Masala Bowl. Meanwhile, treats to enjoy with a lovely cup of tea include the Hen and Cress Tea Sandwich or the Tempeh Bat. Did someone say vegan queso? Oh yes we did. 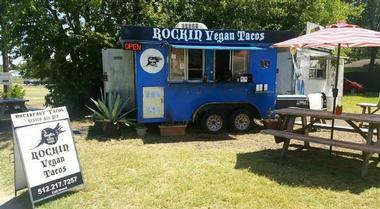 Vegan Nom is the first 100% vegan taco truck in Austin, and believe them when they say that their tacos are absolutely rockin’. The truck was conceptualized when a group of buddies came together with the idea of helping preserve the environment with something they were all passionate about: the humble taco. Using tacos, fillings, and hot sauces that are plant-based in an effort to reduce their carbon footprint, the Vegan Nom will rock your world with tacos like the Rockin Vegan Migas, the Grilled Avocado Reale, or the Three Amigos. Remember that vegan queso we mentioned earlier? Well, you’ll order some of that too if you know what’s good for your belly and soul. 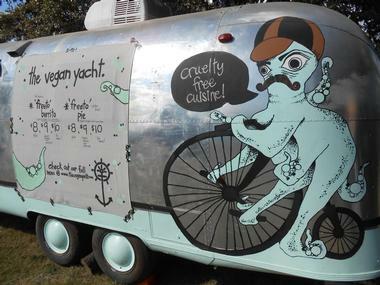 Okay, so maybe it’s not so much a yacht as it is a food trailer, but man is the food at The Vegan Yacht good! The owners of this vegan trailer care a whole lot about the ingredients that they use in their food, which means that only the best plant-based ingredients are used in their delectable menu offerings. Their dishes are hearty so you don’t have to worry about not being satisfied, and there are definitely offerings that are bound to comfort you. Some of the must-try dishes on the menu at The Vegan Yacht include the Freeto Pie, the Mock Chik’n Tacos, and the various nut-based creams and cheeses available. 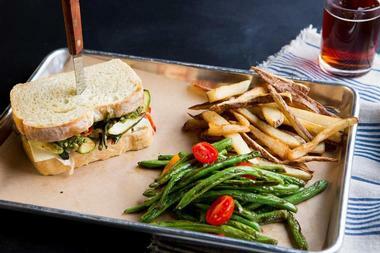 What’s there to look forward to at Unity Vegan Kitchen? Well, how do 100% vegan foods, unbeatable weekly specials, and unique weekend brunches sound for starters? 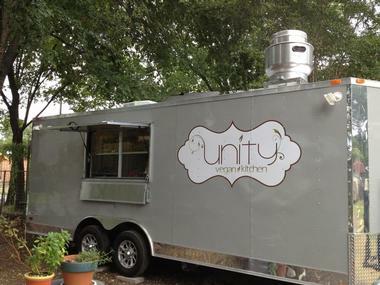 Owned by a lovely woman named Leslie, the Unity Vegan Kitchen is a food trailer that was born out of a crazy dream to get the typically meat-loving community of Austin to embrace, support, and accept the vegan lifestyle. While the journey has been just as crazy as Leslie deemed her dream to be, her efforts are now certainly being rewarded. Make sure to munch on best sellers like the Buffalo Cauliflower on Pasta Salad, the Sundried Tomato, and Basil Pesto Tofu Sandwich and sweet treats like the Avocado Pecan Chocolate Chip Cookies. 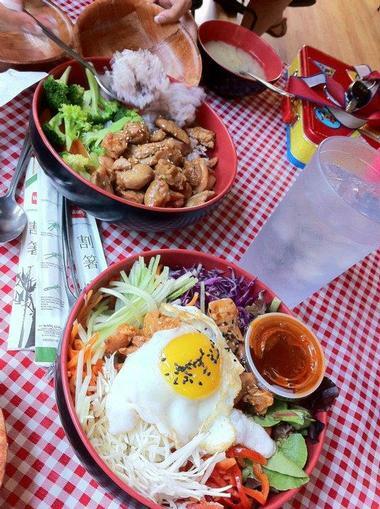 An unassuming dive just a few minutes away from the University of Texas’ campus, Veggie Heaven is all about taking vegetarian or vegan friendly ingredients and giving them a distinctly Asian flair. The restaurant is owned and operated by Stacy Chen, who truly showcases a distinct passion for food and a culinary flair. 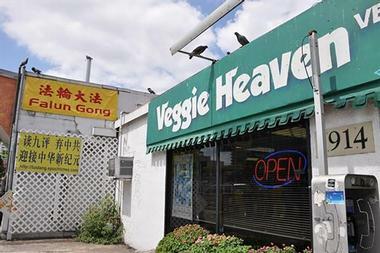 The restaurant was first opened in 1998, and though it closed for two years, Veggie Heaven eventually reopened again due to widespread and popular demand. The veggie filled Pot Stickers are sure to wow your taste buds while other offerings like the Veggie Bun and the Taiwan Pancake will keep you coming back for more. 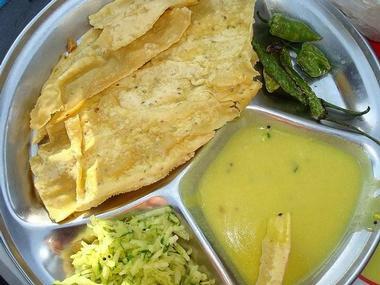 Ethnic Indians and several generations of Texans are bound to agree that Swad dishes up the top authentic Indian Gujarati dishes in North Austin. Unassuming and understated in its strip-mall location, Swad does vegan and vegetarian cuisine exceedingly well with favorites like the dosa and chole bhature made in house and offered at fantastically affordable prices. While the ambience and atmosphere may not be the most relaxing, the mouthwatering dishes and their complex flavors are more than enough reason to pay this busy Indian restaurant a visit. New to Indian cuisine? Order the sampler or try the masala dosa for a tasty introduction. 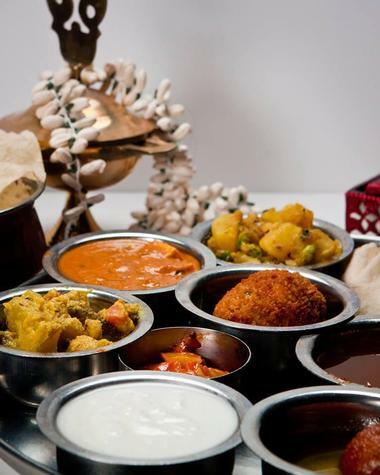 If you’re hungry and want to try a little bit of everything, give the thali special a shot.